Situated in the quiet suburb of Rexford , Knysna,on the world renown Garden Route, Rexford Manor is a beautifully appointed guesthouse, with spectacular, high level views of the historical town of Knysna and the picturesque lagoon. Ideally situated in close proximity to Leisure Island and The Heads, but only 7-8 mins drive from the bustle of the The Waterfront and town centre. For golf lovers, Pezula Champion golf course is less than 5 min away and has the most spectacular view over Knysna. Other golf courses includes Knysna Golf Course and Simola Golf Course. Each of the private rooms has its own en suite bathroom/shower, walk in wardrobe, a fridge and tea/coffee station, free WiFi internet access and satellite TV. Shared areas include a sparkling blue pool, sun deck, lounges and the dining room. At the top of the stairs is the library, and the upstairs balcony on which to relax with a glass of wine, enjoy the view, and watch the sun set over the lagoon. 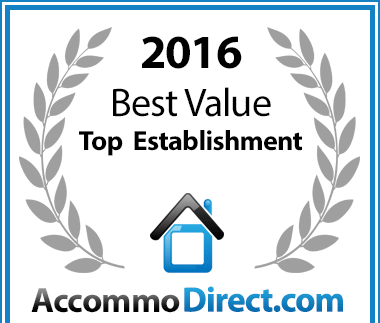 Rexford Manor has been voted a Best Value for money Rexford establishment.